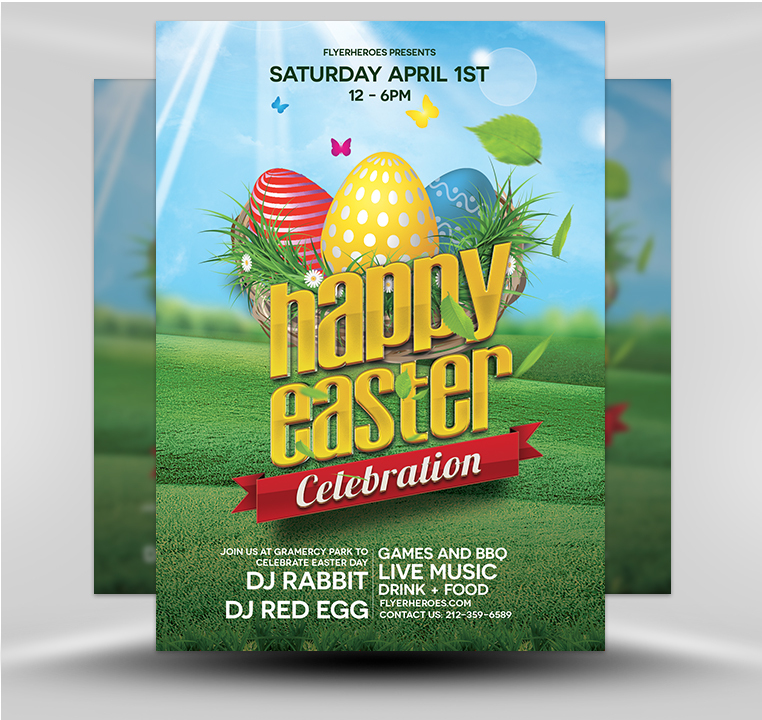 Promote your Easter celebration event faster, easier, and in multiple forms of media by using this Easter Party flyer template to maximize your marketing efforts. 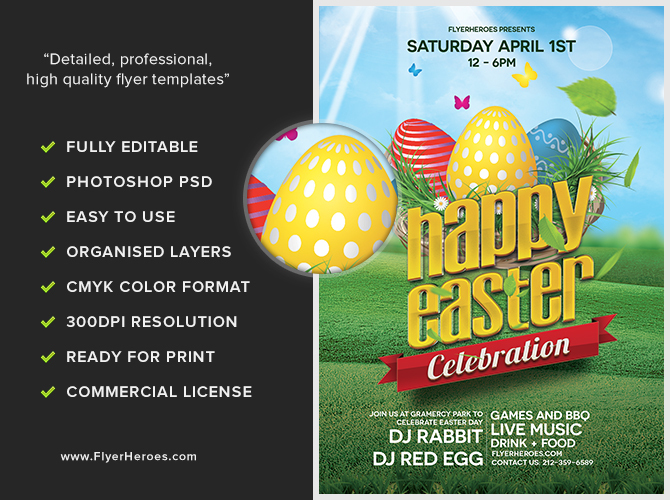 The bright and cheerful Easter design and formatting is already done for you. 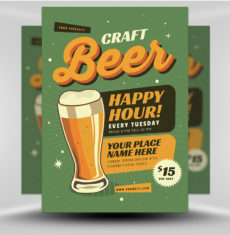 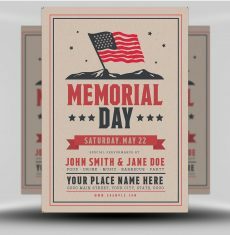 Input your custom text, save the file, and print out flyers in a variety of sizes. 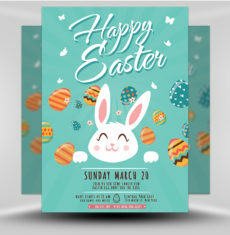 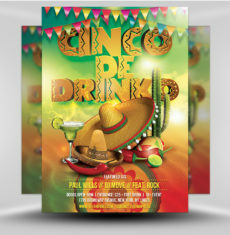 You can post the extra-large sizes on public advertising display glass and billboards and post, hand out, or mail the standard sized Easter Party flyers to potential attendees. 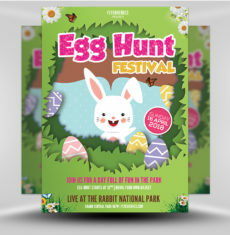 Target-rich settings include: hair salons, candy stores, supermarkets, clothing stores, malls, churches, schools, and parks. 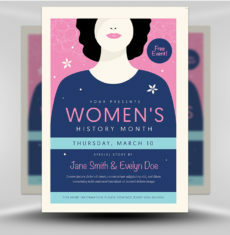 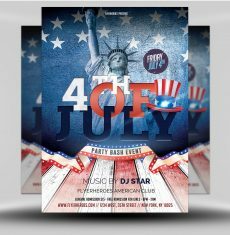 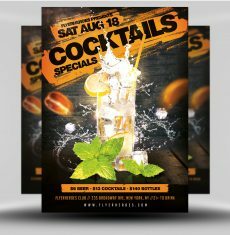 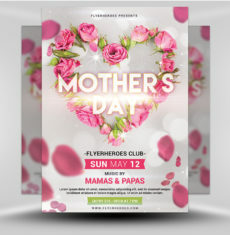 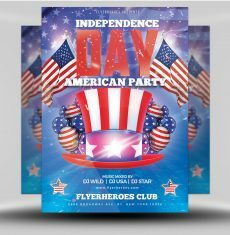 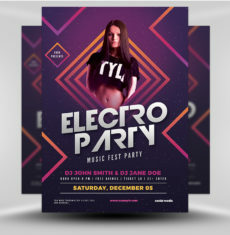 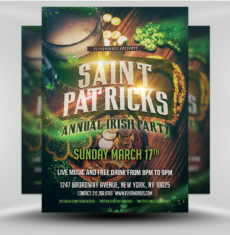 You can utilize the flyer’s digital image by posting it on social media sites, using it in targeted Easter party Facebook ads, and posting it on your own website. 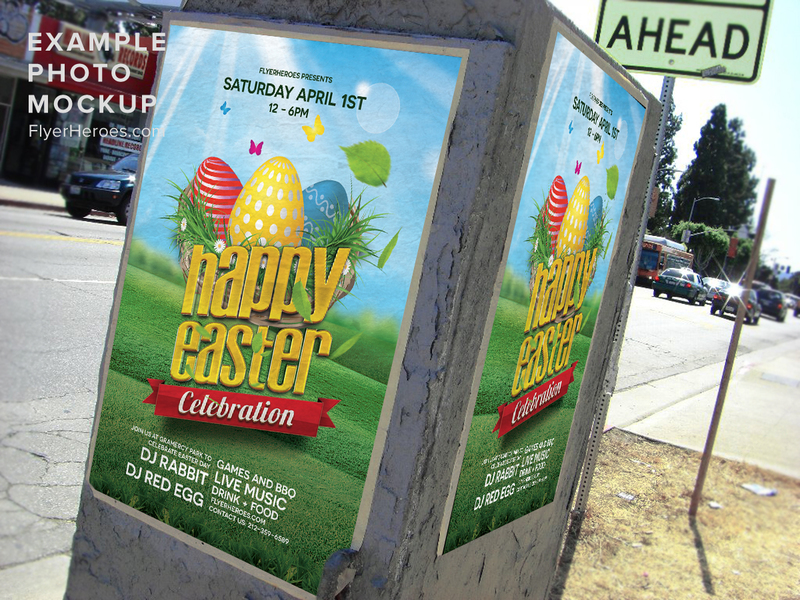 Utilize your database of contacts by creating a promotional Easter e-newsletter using the flyers as one of your images. 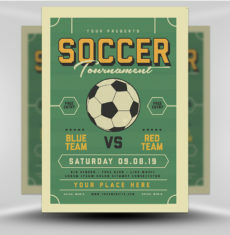 Don’t neglect “old school” face to face contact either. 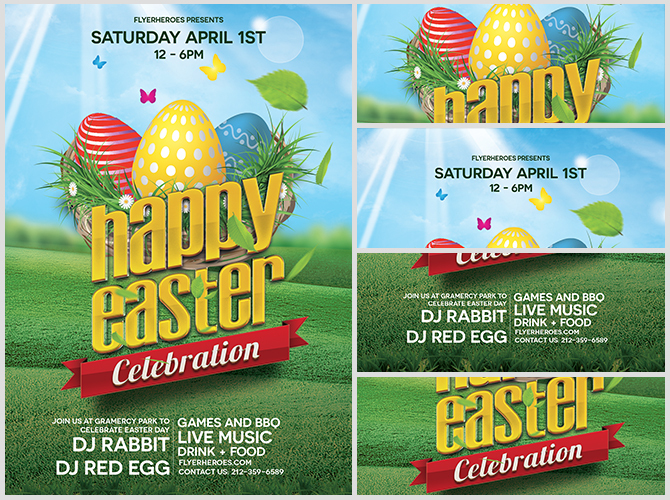 Chocolate bunnies and jelly beans are hard to resist. 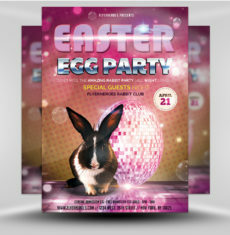 They’ll be plenty of people who are only too happy to accept your festive party flyers when you’ve arrived at a setting with buckets of tempting Easter candy!